Superior brushes at the most economical price point. 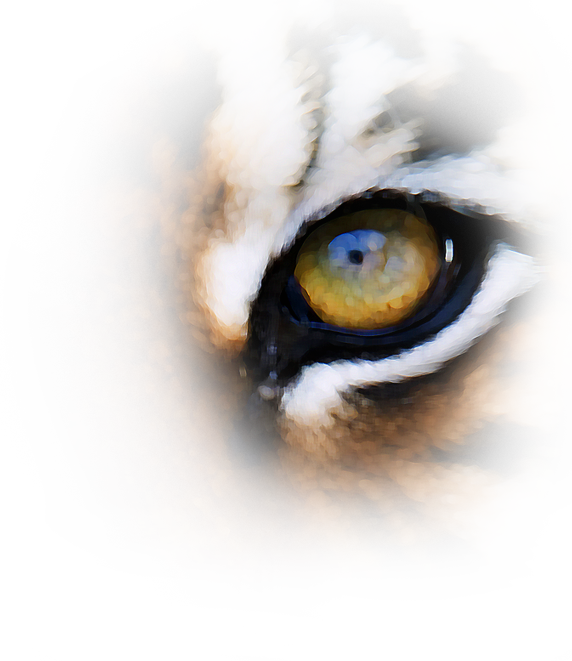 Eye of the Tiger gets its name from the tiger color synthetic. 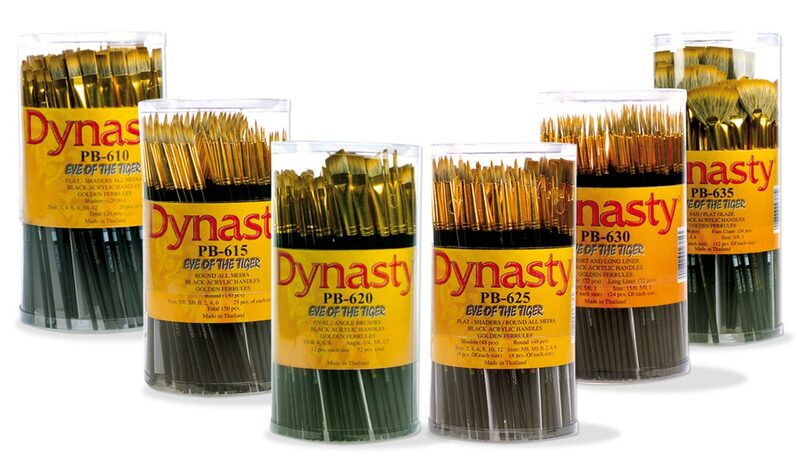 Each canister assortment comes with wood paint stirrers. 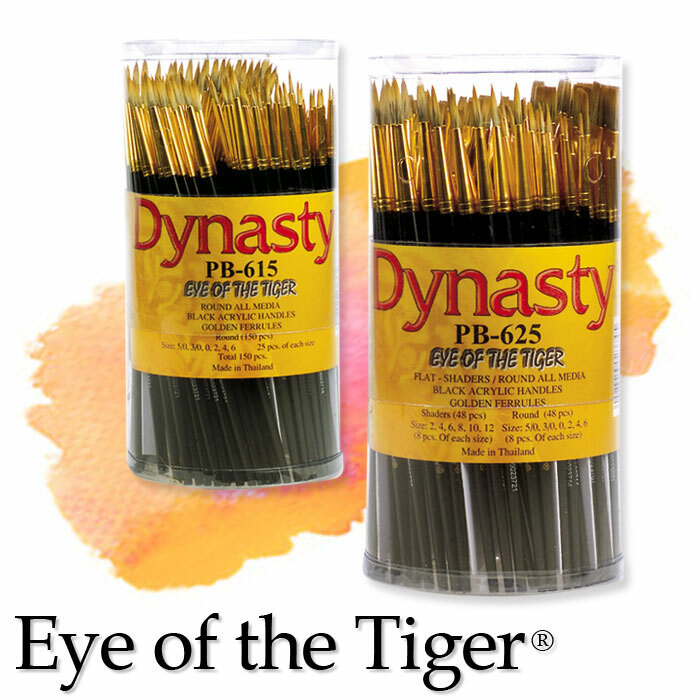 Each canister contains brushes that are packaged in peggable sleeves. Each brush is individually barcoded. Each canister is packed in a shippable corrugated box.